Hello, everyone! 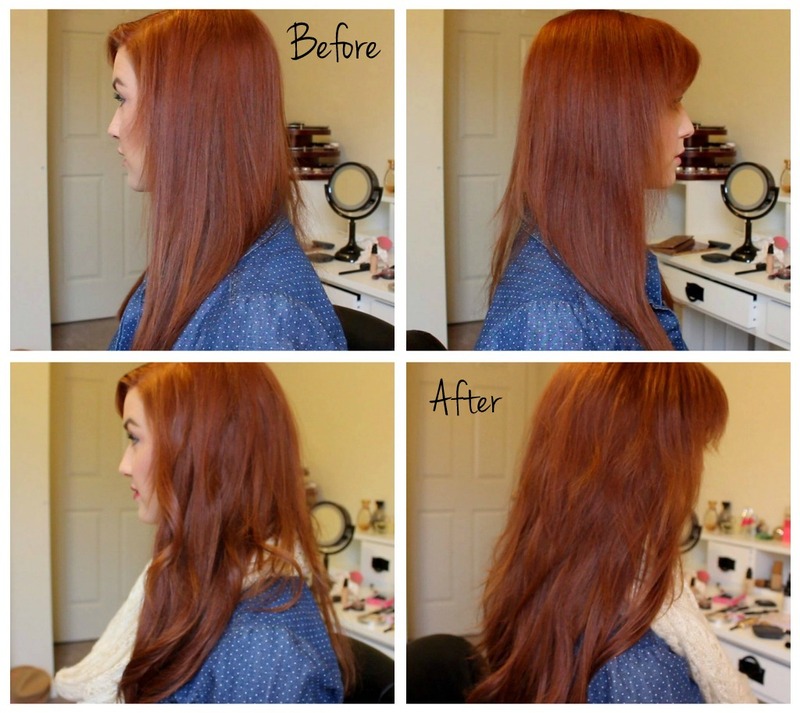 Today I'm talking about my new extensions I received from abhair.com! I'm sure some of you have heard me rant about how I absolutely HATE to do my hair. 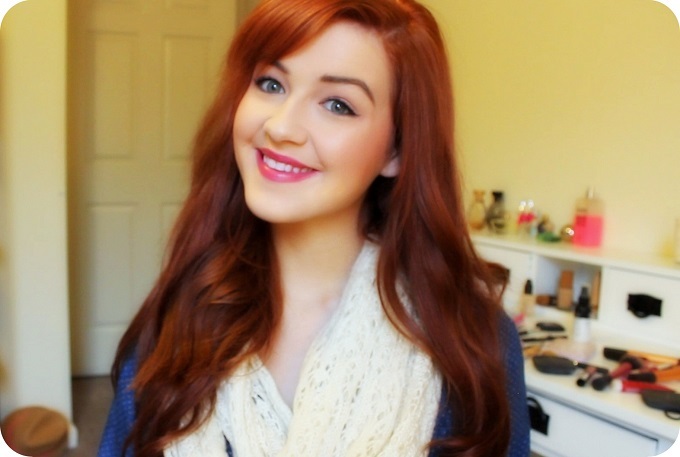 For the past four or five years, I've had the same style - medium/long length with layers. My hair always seems to stop growing at this length, it's crazy! Luckily, I had a chance to try out a set of extensions from "AB Hair". I was pretty nervous about the whole process, actually. Styling them, clipping them in, color matching, etc. 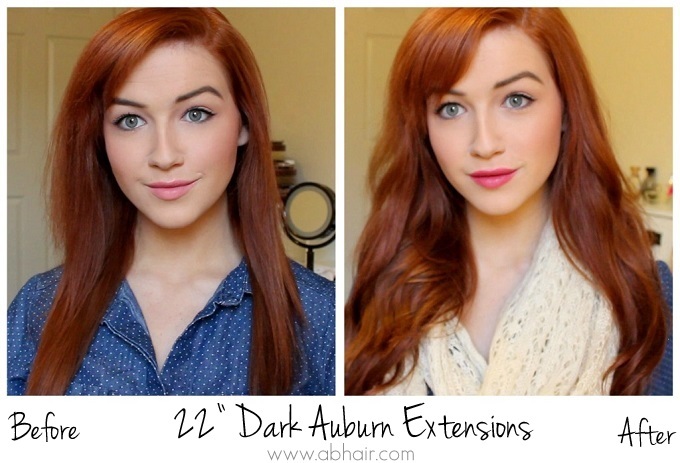 I chose the 22 inch Dark Auburn set which is 100% human hair. I thought these would give my hair some nice body, and especially length. 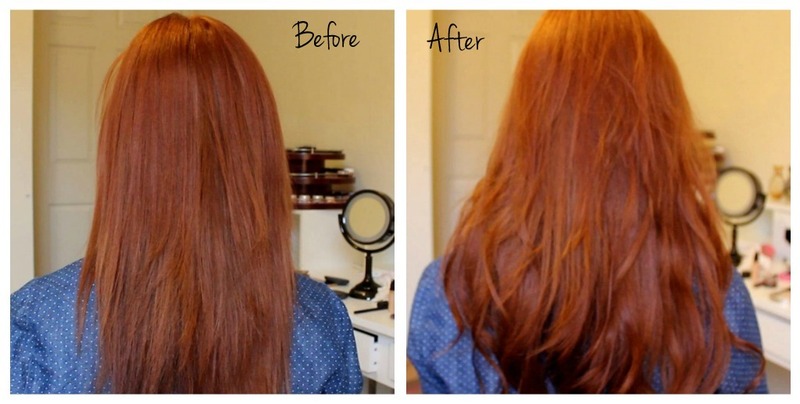 The entire process was so easy, and that's coming from a girl who spends a maximum of 10 minutes on her hair. I have a fine to average hair texture. It's not thick under any circumstance but it's not horribly thin. These extensions blended really nicely as far as the texture goes. They aren't overly thick, which is what I like. They also feel extremely light on your head throughout the day. These extensions are very light weight. If you're looking for extremely thick extensions or already have long thick hair, these probably won't do much for you. However, if you have more of an average to fine texture hair type then these will be a dream! AB Hair offers a great color selection of extensions. If you don't feel that they have an exact match, you can even dye the extensions to match your hair, or just dye your own hair. The wearability is great. I wore them to a packed hockey game one night and they didn't budge. I like the fact that they come with one clip wefts because two and three clip wefts are too large for the left side of my head. The one clips fit perfectly without showing. I was definitely pleased with these extensions. Being hair styling impaired, these were quite a dream to work with. The second time I put them in, I didn't even have to style my actual hair - SCORE! If anyone is interested in checking out their own extension set, "ab Hair" was kind enough to give me a special coupon code for an extra 15% your purchase - just use code "ShelbeyJ15" at checkout! *Product was sent for consideration - As usual, all opinions remain my own.